Are you starting off on the wrong foot with your tenants? Mistakes in the application process are mistakes a landlord can’t afford to make. 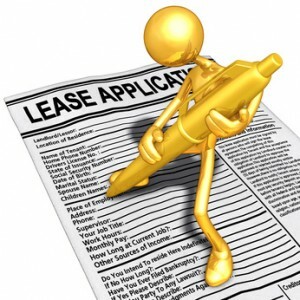 Yet, a surprising number of landlords accept tenants who have submitted an incomplete or inaccurate rental application. Not as surprising–these same landlords struggle to evict the problem tenant or collect unpaid rent. Don’t set the tone for an incomplete rental application by interviewing an applicant who hasn’t filled out the entire form. If they do become a tenant, they will be trained to believe you will be lax on other rules as well–like paying rent on time. Red flags abound in this situation, and the applicant could be hiding anything from a false identity to a bad rental history. The rental application is the foundation for tenant screening. Misinformation will be compounded by not accurately screening out bad tenants. Whether it’s a bogus name, an omitted previous address or a fake reference, the careless landlord is the one who will be paying the price when it comes time to evict this problem tenant. Check the information in the rental application against the tenant screening reports. Quiz the applicant about the information during an interview. Have the application in front of you when you speak with previous landlords and references. Always be on the watch for inconsistencies–your clue that the applicant is not telling the real story. Hopefully it will never happen, but there are times when a landlord or the police need to find a tenant’s emergency contact. Also, this information can offer clues to the tenant’s whereabouts if they skip out without paying rent. Don’t let an applicant omit this information, or give you fake contacts. Do a little detective work to see if the phone and address jibe and are consistent with other information in the rental application. Your 4 mistakes rang a big bell, rented to nice old lady 65+ she filled out a spotty app. I picked up a couple lies right off and she sweetly smoked me. turned out less than one year and 4 dogs she moved out middle of winter no heat she thought I was in Fla. Left me with a wrecked house and two super large dumpsters of junk. If it smells like a skunk beleve me it is a skunk. Beleve me if it smells like a skunk it is a skunk.